In addition to its obvious attributes – delicious food, a handsome look and superior service – there’s the nostalgic component of the Fairouz story that makes me a bit dewy eyed. 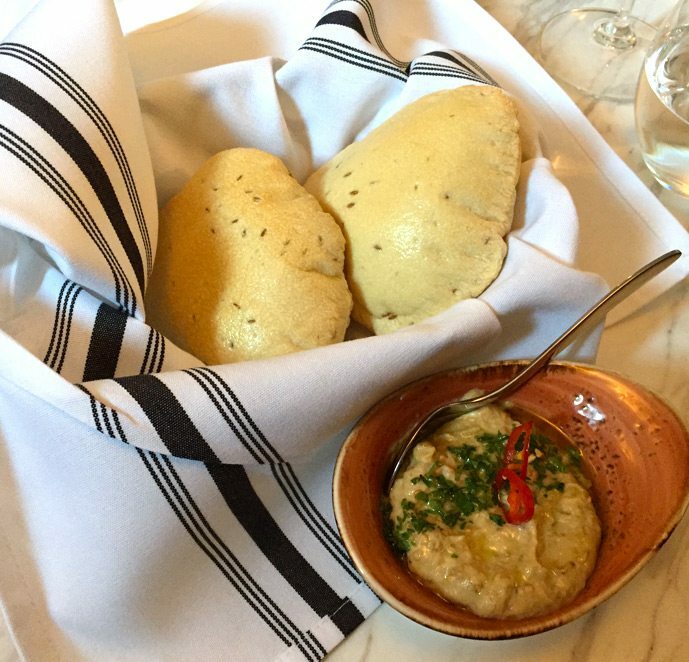 Fairouz is a month-old restaurant with a deep past. And based on my visits, I trust it will have a long future. Fairouz left Somerset in 2005. For an eye-blink, it became Fairouz Chalet on Bank Street south, then quietly vanished. Now, a decade later, it’s back, re-invented and re-invigorated, in the very same solid brick house it operated in for most of its life. 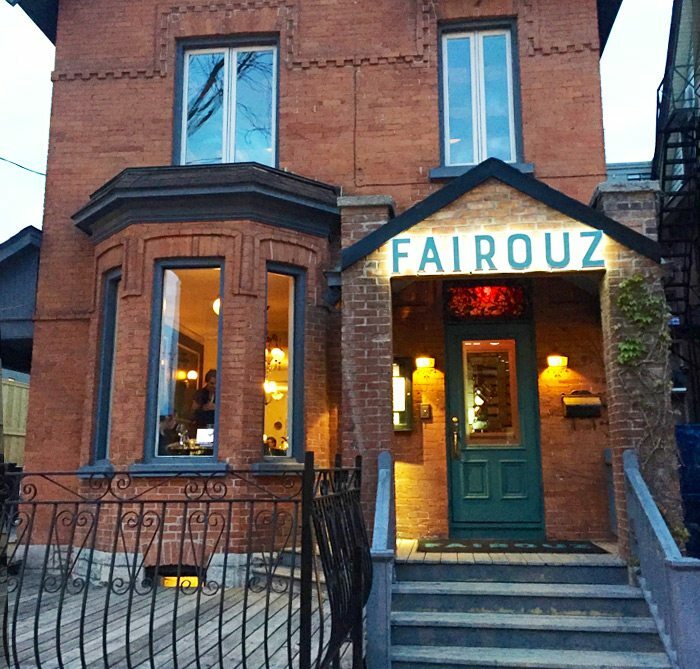 One of its owners – Ottawa doctor Hussain Rahal – is a member of the family that ran and worked the original Fairouz, which adds an element to the romance of its reincarnation. The inviting exterior of Fairouz. Bread arrives puffed up like plumped pillows. It ferries the exceptionally good dips to mouth with alarming ease. Fill up on these at your peril. 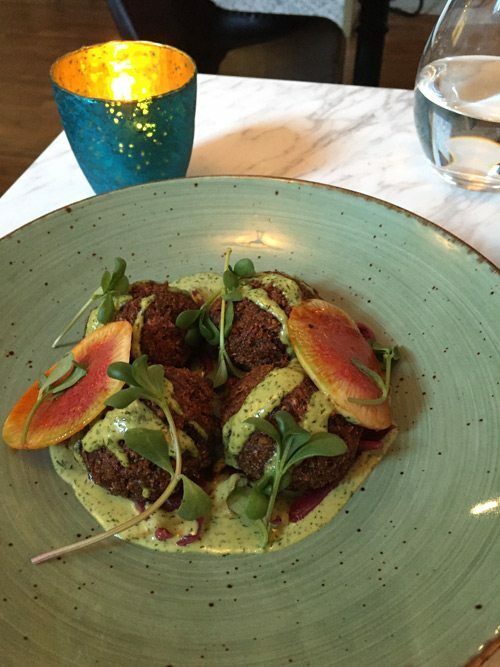 Falafel bathed in a minted tahini sauce and served with disks of peppery radish. 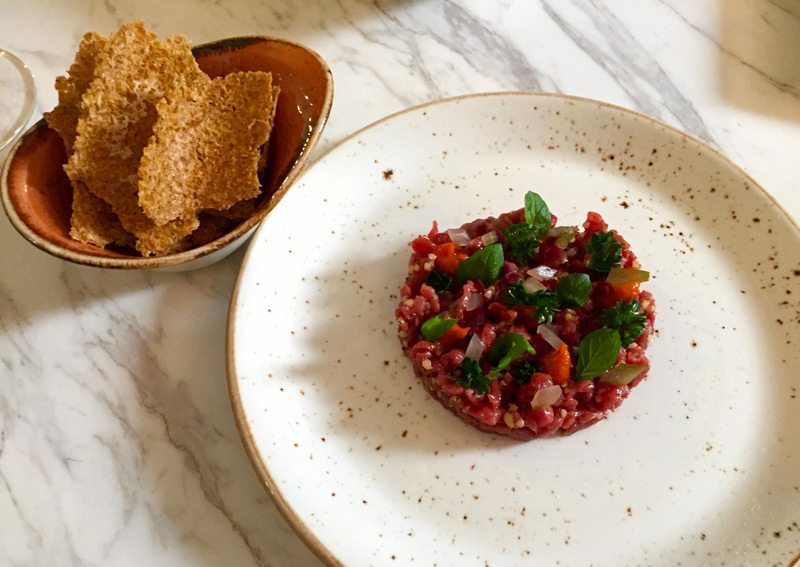 A puck of lamb tartare has good looks and harissa gutsiness in equal measure, served with bulgur crackers. 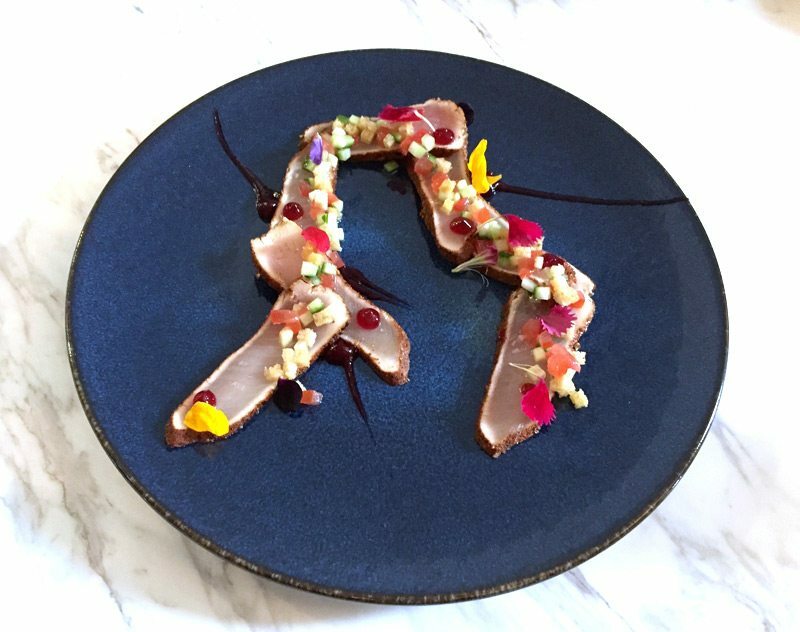 Continuing with the raw and the luscious, tuna comes rubbed with the Middle Eastern spice mix baharat, sweetened with scarlet dobs of hibiscus gelée, and topped prettily with edible petals and the elements of a refined bread salad. Tuna comes rubbed with the Middle Eastern spice mix baharat, sweetened with scarlet dobs of hibiscus gelée, and topped prettily with edible petals and the elements of a refined bread salad. The one dish from the starter section that didn’t thrill was a wedge of grilled halloumi – stunningly pretty on the plate, but the cheese was uncomfortably dry. 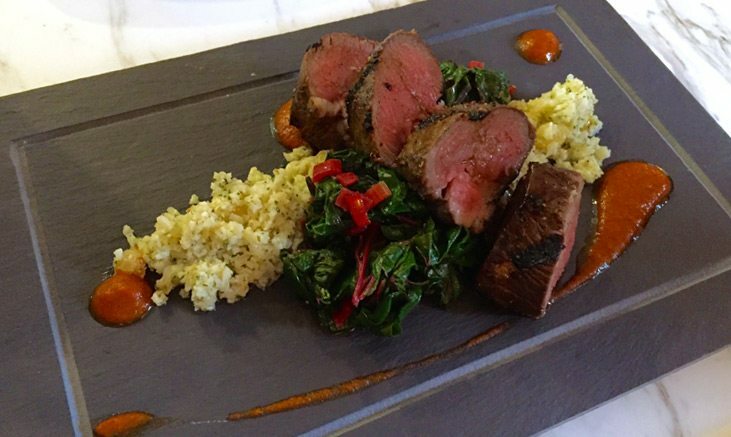 The lamb loin is lively with the North African spicy herb sauce chermoula and with a side of cauliflower shredded to imitate couscous. End with the grown up chocolate cake (with bulgur flour and orange blossom water) served with pistachio ice cream, and the sweetened cheese rolls called halwat il jben.